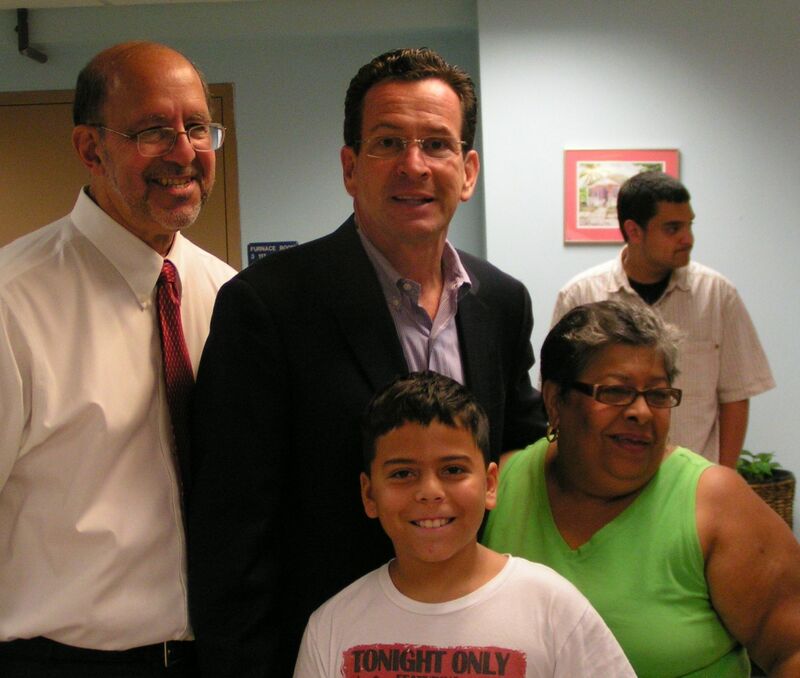 Democratic Gubernatorial Nominee Dan Malloy captured 57% in New Britain in Tuesday’s primary, winning by 442 votes. The unofficial tally citywide was Malloy at 1,905 and Ned Lamont at 1,463, a total that includes absentee ballots from primary night. New Britain, reflecting a statewide trend, supported all candidates on Row A with a particularly strong showing for Comptroller candidate Kevin Lembo and Lieutenant Governor nominee Nancy Wyman, the current Comptroller. The strong vote for Lembo may have been a consequence of a scurrilous barrage of attacks from Waterbury Mayor Michael Jarjura, his challenger. In trying to falsely define Lembo, Jarjura defined himself and voters responded accordingly. The low turnout statewide may spawn calls for changing the date of the Primary from August to either June or September dates. Three other states held primaries on Tuesday. Connecticut may also want to consider early voting which opens the voting process several weeks ahead of the actual voting day as a way to increase turnouts. Official counts will be posted at newbritaindemocrat.org. The Democratic slate is now set for November 2nd: Dan Malloy for Governor, Nancy Wyman for Lt. Governor, Richard Blumenthal for U.S. Senate, Chris Murphy for Congress, George Jepsen for Attorney General, Denise Merrill for Secretary of the State, Denise Nappier for State Treasurer and Kevin Lembo for Comptroller. The State legislative slate includes Don DeFronzo for 6th State Senate, Betty Boukus, 22nd state representative (District 15), Tim O’Brien, 24th district representative, John Geragosian, 25th state representative and Peter Tercyak, 26th state representative. Despite the deep recession and tight city finances, a review of non-union, management positions and salaries is underway at New Britain City Hall that increases pay scales and defines or redefines qualifications, including the job of “Assistant Fire Chief” that apparently represents a new administrative post that is currently not specified by ordinance. The proposal, brought forth by Republican leader Lou Salvio at the August 11th meeting, indicates salary and compensation adjustments are long over due with the last overhaul dating back to 1998, according to the resolution. It cites a survey of salaries for comparable positions in other towns, including Bristol, East Hartford, Waterbury and West Hartford. Impacted by the new ordinance would be the Chief of Police, a Police Deputy, the Finance, Personnel, Health and Public Works directors, the Fire Chief and an Assistant Fire Chief. To bring department head jobs into line with “fair and equitable” salaries elsewhere, the ordinance adjusts eight compensation steps and defines retirement benefits that are not covered by collective bargaining. The Fire Chief, for example, starts at $83,460 at step one and goes up to $107,806 at step 8. The “deputy” job has been revised under Salvio’s resolution into an “Assistant Fire Chief”. Its eight steps begin at $74,000 and tops off at $95,000. The management compensation ordinance with its newly defined administrative post in the fire department deserves a thorough review by the Common Council committee that reviews it. Demanding scrutiny is whether the proposed assistant fire chief job has been tailor-made for an individual that the Stewart administration already has in mind. Although salary adjustments for department heads are advisable to attract and retain capable individuals, the justification for them and an altogether new position in the fire department will need to be well documented and explained. Recently four GOP alderpersons, including Salvio, gave back 5% of their $3,500 annual stipend or $175 each. They informed Mayor Stewart they were doing so because of the tough economy as other city employees are being asked for financial givebacks. As the GOP alderpersons noted in their give back appeal, it’s supposed to be a time of austerity when front-line jobs in education have been severely cut in the current budget — a move that proponents of restoring funds for teacher positions say was illegal and unjustified. “Fair and equitable” compensation for management needs to be counterbalanced with fairness for the rest of the city workforce and fairness to taxpayers. Any compensation changes that result from an approved resolution would take effect in the next fiscal year (2012) and subsequent years. Attorney General nominee George Jepsen will be holding a fall campaign kickoff on Thursday, August 12th from 5:30pm – 7:30pm at his headquarters at 527 Prospect Ave, West Hartford. The headquarters event will be a Caribbean Feast, featuring George’s Famous “Cuban Pork”. This entry was posted in City Hall, Jepsen, Kevin Lembo, Malloy, Municipal Budget, Uncategorized. Bookmark the permalink.